Now create folders, in your workspace and even in folders. And navigate folders with more fun. 16 shortcuts is maximum capacity for each folder. 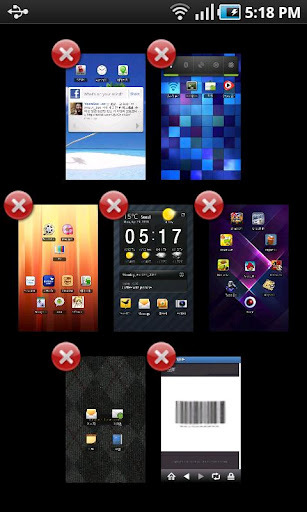 This free version of Regina 3D Launcher will allow you to have 5 folders in total. If you want to create more please purchase the Pro version. The Pro version will be available for (KRW)3,450, which is a little less then $3 for a limited time. 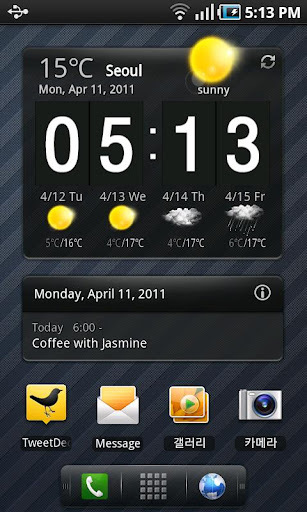 [Notes] – Regina Launcher is a ‘Home Replacement Application’. So you won’t be able to see Regina Launcher if there is any default launcher already. In this case, please dismiss the previous default launcher in application setting menu. – Because Regina 3D Launcher is pure 3D graphics, your device must have a decent graphics chip to gain usable performance. – After installation, select “Version x.x.x” item in Regina Settings menu and update all app in list. – Supports Eclair, Froyo, Gingerbread and tested on Galaxy Tab too. – Live Wallpaper is not supported because of performance issue. – You may face frequent re-initialization if there is not enough memory(RAM) remaining. Please reboot your device in this case. Regina 3D Launcher is a ‘Home Replacement Application’ which uses pure 3D graphics showing various dynamic 3D effects for your pleasure. I really like this website and its apps….. But some of this not working well……….